Google's new All Access subscription service is pretty great, but it's currently confined to either the Web or Android devices. Unfortunate, but rather than sit around and sulk about its absence on iOS, developer James Clancey decided to create an app, gMusic, to access Google's music superstore. Originally created back in 2011, the app was recently updated this past week with support for Google's new streaming service, giving iOS users a nice little compromise in place of something official. 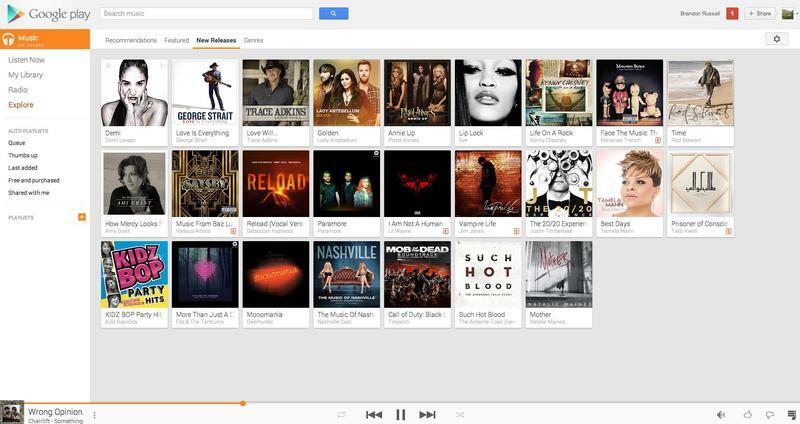 Since Google hasn't said one way or the other about a Google Music client for iOS, gMusic is taking advantage by filling that void. If you aren't inclined to Spotify, Pandora, or any other of the popular music streaming services, and absolutely, positively want to use Google All Access ($9.99 per month or $7.99 if you sign up before June 30), gMusic is the way to go. The app itself allows users to access all the content available through All Access, and even create and save Radio stations. It may not be as intuitive or lovely as the app for Android, or even the fluid experience on the Web, but it's better than nothing. That's not to say gMusic is bad. It's incredibly functional and gets the job done; you have to give credit seeing as this is a third-party solution. With Apple reportedly prepping its own music streaming service, now would be a good time for Google to unleash a standalone iOS app. If anything, it would add that much more competition to the market, and also show that Google's apps on iOS are not only wanted, but some of the best available. If you signed up for All Access, you can pick up gMusic through the App Store for $1.99.